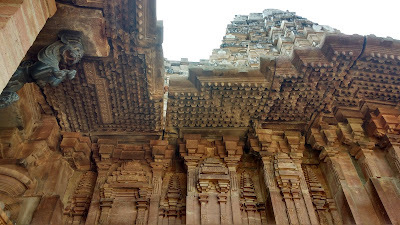 The Kakatiya Dynasty has been credited with some amazing architecture during their reign in the 12th and 13th centuries. 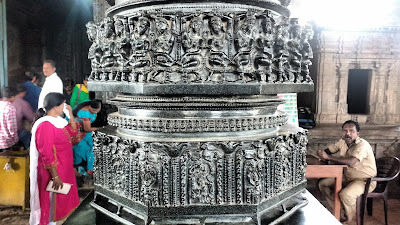 One of the structures that has withstood the test of time (and changing rulers) is the Ramappa Temple near Palampet, about 65km north of Warangal. 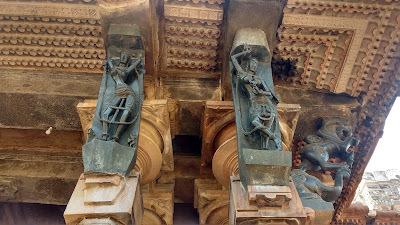 The grand temple, dedicated to Lord Shiva, has some amazing sculptures depicting mythological scenes and daily lives of the people. 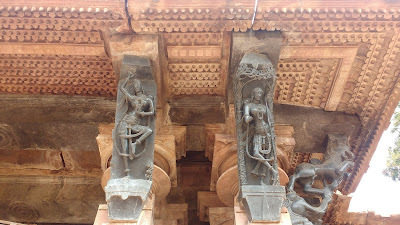 However, the temple is famous for the graceful bracket figures of madanikas flanking high on the corners and entrances. 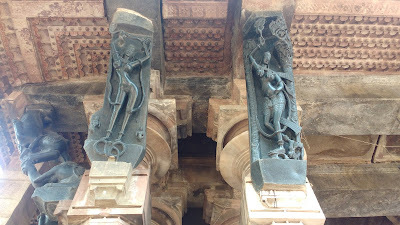 The temple complex has two entrances - the main entrance on the west and a smaller one to the east. 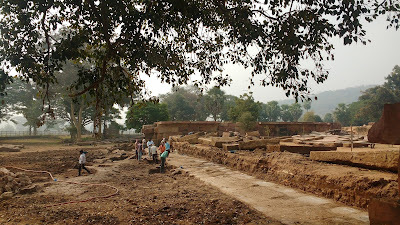 The area outside the complex is littered with ruins which are under restoration by the ASI. The complex is quite spacious in itself. 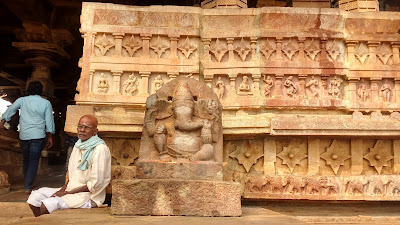 It houses the main temple in the centre, a mantapa with a stone plaque to the north-east and one minor temple to the north. 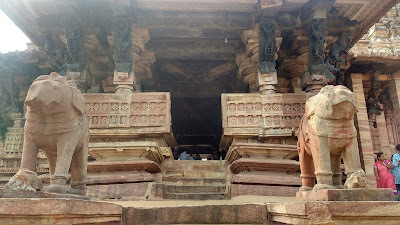 The Ramappa Temple is set on a one meter high pedestal and can be approached by the stairs on the northern and southern sides. 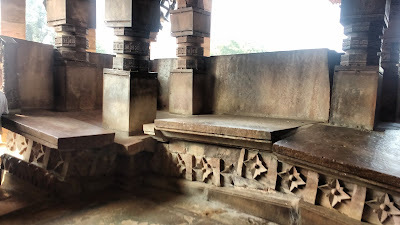 The western stairs face the Nandi enclosure, but can also be used to enter or exit. 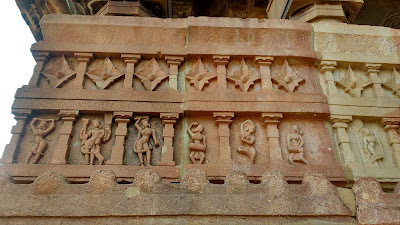 The outer walls of the temple have sculptures with scenes from the daily lives of the local populace. 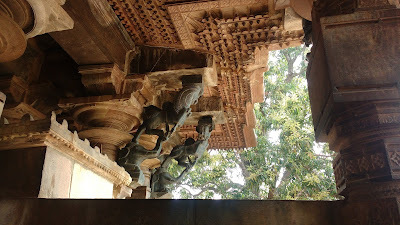 On entering the temple, one can see that the structure has seen some heavy seismic events in the past. 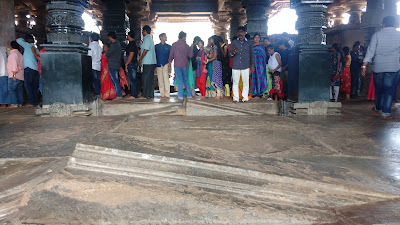 The massive stones that make up the floor of the temple simply appear to have been churned out at a few places. 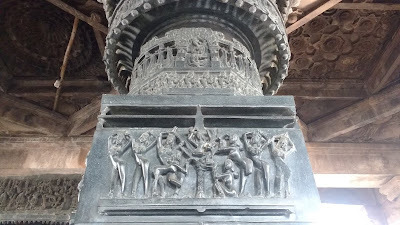 The temple pillars and the roof structures are made out of black stone (in contrast to the red sandstone elsewhere) and are heavily ornate - typically featuring mythological stories. The roof and the spire of the temple is a brick construction, probably of a later date. 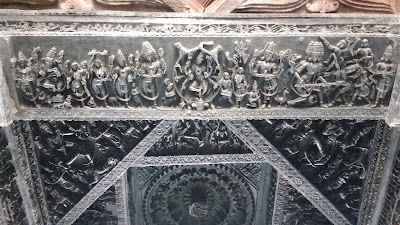 The base of the roof has a design with inverted cupolas which somehow reminded me of stunted stalactites. 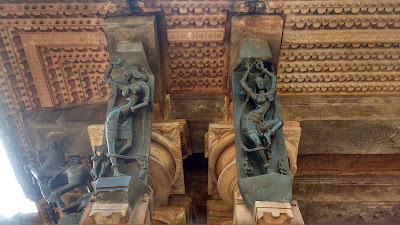 The main highlight of the temple of the brackets figures on the external side. 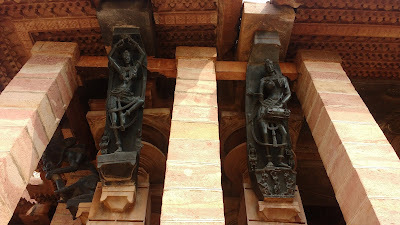 Each corner and entrance to the temple has these on the flanks. 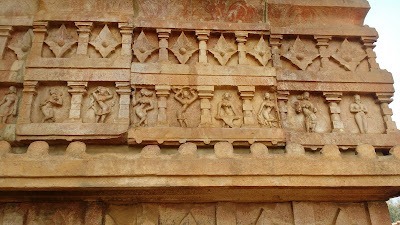 Each set has a two yalli (lion/griffin) figurines and two very slender and graceful madanika figurines. 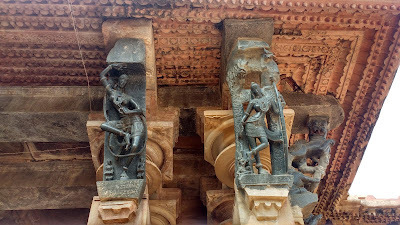 Describing the figurines as madanikas, i.e. 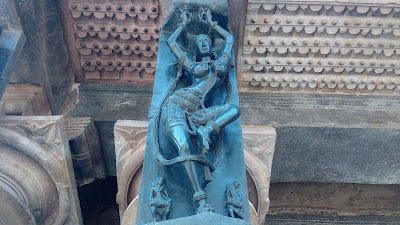 dancers, does not do justice to them since they are also depicted to be handling serpents and weapons. One thing is certain - they are certainly breathtaking. 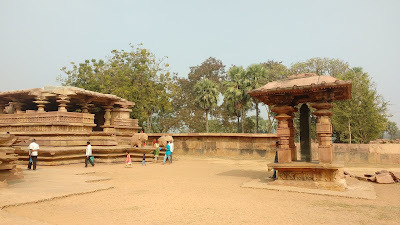 The lake near the Ramappa Temple is also of Kakatiyan origin. 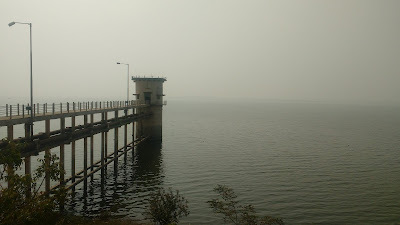 The man-made lake has a huge expanse and serves the water needs of the locals. 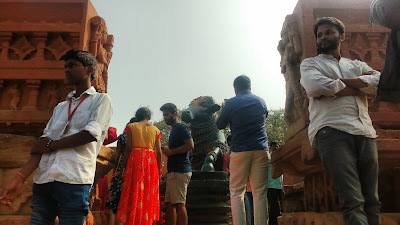 One has to walk for about 10-15mins from the temple to reach there. 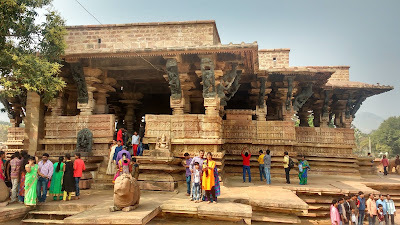 Rammappa Temple lies on the outskirts of Palampet. It can be approached from Warangal by bus via Mulugu. There are frequent buses between Waralgal and Mulugu. 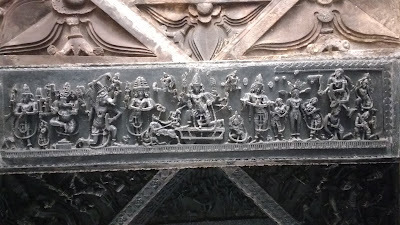 Mulugu to Palampet can be done by buses or minivans. 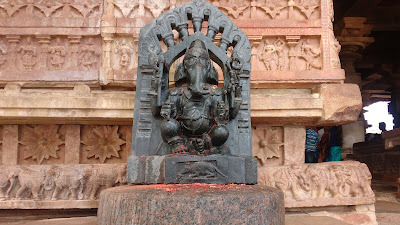 The distance from Palampet to Ramappa temple and lake can be covered on foot or a rickshaw.